Finally I get to an ancestor who immigrated from another country, in this case Italy. My great great grandfather Joseph Barboro arrived in the United States as Guiseppe Sbarboro, noted as age 10 on the passenger list, on April 9, 1851. He traveled from Genoa, Italy on a ship named Arbace, and arrived in New York City. He traveled with parents B. and M. Susanna Sbarboro, ages 43 and 40, and sisters Maria age 8 and Catarina age 5 months. I have no further record of Maria or Catarina after that passenger list (pictured below.) The trip likely took 2-4 weeks, and there were 85 passengers on the boat. Joseph and his parents report on future census that they were born in the Piedmont of Italy. That is a region at the top of the boot, bordering France and Switzerland. 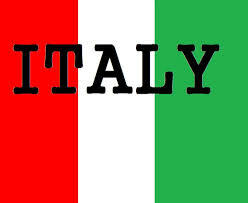 There was a revolution in Italy in 1848, and the area was in a period of unification by the time my family left. I found that the greatest concentration of the surname Sbarboro is actually in Liguria, which is just south of the Piedmont, on the coast. The capitol of Liguria is Genoa, the port city they sailed from. I’m not sure what year Joseph Sbarboro was actually born because his birth year as noted on documents I have varies, and most years he gets older. It’s somewhere between 1834 (as noted on his death certificate) and 1841 (based on him being 10 when he arrived in the US in 1851.) I am using the year 1841 because it’s the earliest information I have and was likely provided by a parent. I’m using the month and date of April 27 from his death certificate. The informant on the death certificate was the grandson Joseph and Sarah raised, Dr. Frank E. Day, so he probably knew when Joseph celebrated his birthday. Joseph moved to Kansas City by 1866, when he was listed in the city directory having a fruit stand at the corner of 4th and Green, and residing at the same address. Joseph married Sarah Ann Clovis in January of 1870. My great great grandmother was born October 24, 1850 in Pennsylvania. Her parents are John Clovis and Sarah Hustead. The family farmed in Coldbrook, Illinois at the time of the 1860 US Census. By the 1870 census the family had moved to Kansas. Her parents both died in Mulberry, Kansas. You can see her father’s Find A Grave memorial here and her mother’s Find A Grave memorial here. In the 1870 Kansas City Directory Bartholomew Sbarboro was listed as a fruit dealer residing East Levee between Main and Walnut. Joseph is at the same address. On the 1870 US Census, Barth was 69 and a huckster. Susanna was 64 and keeping house. Joseph was 31 and a laborer; his wife Sarah Ann was 19. There’s a 9 year old Mary F. and a 6 year old Amelia, both born in Missouri, living with the family. Relationships aren’t noted on this census, so I can only guess. I think Joseph was married shortly after the 1860 census, and Mary F. and Amelia are from that marriage. I have no further record of Mary F., but Amelia shows up later as Joseph’s daughter. I also have no further record of Bartolomeo and Susanna, so I don’t know when they died or where they are buried. The Kansas City Directory listed Joseph Sbarboro as a laborer (1878) and fruit dealer (1879) living at 1524 Cherry. In 1880 he was listed running a fruit stand on Broadway between 2nd and 3rd. On the 1880 US Census, Joseph was 43 and a huckster. Sarah was 31. Amelia was 15, Chilesta was 9, Celia was 7, Minnie was 4, Dallas was 3, Joseph H. was 3 months having been born in March. Ed Cranby, a saddler, boards with them. I have no further record of Dallas or Joseph H.
Below is a summary of the City Directory information I have for the next 20 years. If an occupation is listed, it’s carpenter unless otherwise indicated. Can you imagine moving this much, especially with a growing family? In 1880 they had 6 children. Two would die and five more would be born. The 1890 US Census isn’t available, and I can’t find the family in the 1900 US Census, so we skip to the 1910 US Census. Joseph was 74 and a carpenter doing odd jobs. Sarah was 59. Daughter Evelyn was 18 and grandson Frank E. Shannon was 9. Sarah reported having given birth to 11 children, 8 of them still living. Joseph says his birthplace is Italy and his mother and father’s birthplace is France, but on previous census Joseph lists his parents’ birthplace as Italy, and they list their own birthplace as Italy. My cousin thinks that Susanna was French. They may have lived close to the changing border of France and Italy, which could allow for the differences. The city directory shows that by 1913 Joseph and Sarah are living at 4848 Montrose, where they remain until death. On the 1920 US Census, Joseph was 82 and Sarah was 69. Grandson Frank E. Day, 19, works in the Registry Department of the Post Office. This photograph of Joseph & Sarah (given to my by a cousin) was said to have been taken on Joseph’s 90th birthday, but if he was born in 1841 he was 86 years old when he died. They don’t look thrilled to be having their picture taken, but I’m so happy to have it! Joseph died at home on December 23, 1927. In 1928, 1929, and 1930 Kansas City Directory, Sarah was listed as Joseph’s widow, living at 4848 Montrose. On the 1930 US Census, Sarah was living in her home on Montrose with grandson Frank E. Day (a physician) and his wife Fannie (telephone operator). Sarah died at home on March 25, 1931. Joseph and Sarah are buried Mount St. Mary’s Cemetery in Kansas City, Missouri. Below is a list of their children to the best of my knowledge. Note that they were born when their parents’ last name changed back and forth from Sbarboro to Barboro, and since I don’t know what they considered their maiden names to be, and don’t have birth records, I’m using the last name on record at the time they reached adulthood – Barboro. The only boy who lived to adulthood, James, definitely used the last name Barber so that is how I refer to him. Mary F. Barboro – The only record I have of her is the 1870 US Census stating she was 9 years old, born 1861 in Missouri. Her mother is unknown. Amelia Barboro – According to the 1880 US Census, Amelia was born in 1865 in Missouri, and her mother is unknown. She appears in the Kansas City Directory living with the family in 1886, 1887, 1888 and 1889. In 1886 and 1889 she’s noted to be working as a packer at C C & C Company. I have no record for her after that. Celestia M. Barboro – Celestia was born December 4, 1870 in Kansas City, Missouri. She married John Joseph Hennessey on December 25, 1897 in Clay County, Missouri. They had no children. She died January 30, 1946 in Kansas City, Missouri. Her Find A Grave memorial is here. Cecelia Barboro – Cecelia was born in 1873 in Missouri. She married Robert Frederick Reed and they lived in Denver, Colorado where her husband became Chief of Police. They had a son. I don’t know when she died but it was after the 1930 US Census. Minnie M Barboro – Minnie was born May 20, 1875 in Missouri. She married David James Harvey and they remained in Kansas City, Missouri. Her husband was a newsboy (1900), dealer of second hand goods (1910), and proprietor of billiard hall (1920). They had one daughter, who died in 1916 at age 22 of tuberculosis. Minnie’s Find A Grave memorial is here. Dallas Barboro – The only record I have of him is the 1880 US Census stating he was 3 years old, born 1877 in Missouri. Joseph H Barboro – The only record I have of him is on the 1880 US Census. He is 3 months old, born in March 1880 in Missouri. Viola Marie Barboro – Viola was born August 14, 1882 in Kansas City, Missouri. She had a child prior to her marriage, who was raised by her parents. (That son, Frank Eugene Day, became a doctor and was Chief of Staff at Northeast Osteopathic Hospital in Kansas City.) Viola married Frank Stewart Day. They had 2 children. Viola died August 6, 1961 in Independence, Missouri. Her Find A Grave memorial is here. James William Barber – James is my great grandfather, and you can read more about him here. Della Barboro – Della was born in Missouri on January 31, 1886. In the 1907 Kansas City Directory she’s living with the family and working as a seamstress. She married Harry E. Merrill (stair builder, cabinet maker) and they had two children. She died February 8, 1935 in Kansas City, Missouri. Her Find A Grave memorial is here. Agnes Mary Barboro – Agnes was born July 21, 1888 in Missouri. She married John Alva Brock (cattle salesman) and they had two children. John died in 1927. 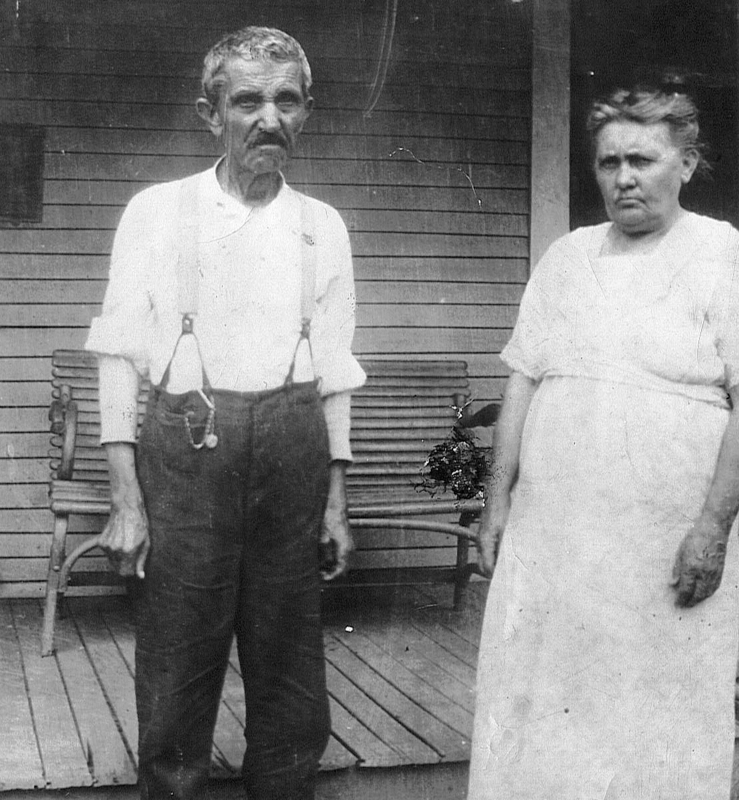 Agnes married Alec Ratkay (butcher) on July 14, 1934 in Clay County, Missouri. She died in 1967 in Kansas City, Missouri. Her Find A Grave memorial is here. Evelyn Cladis Barboro – She was born May 23, 1894 in Kansas City, Missouri. She married William Davenport Rogers (baker) in Jackson County, Missouri on June 9, 1913 and they had 5 children. They lived in Blue Springs, Missouri in 1930 and 1940 according to the US Census. She died in April 6, 1978 in Dade County, Florida.